This honey mustard dipping sauce recipe without mayo is so easy to make with only 5 ingredients. It’s great as a salad dressing, sandwich or wrap topping, and even on potatoes. 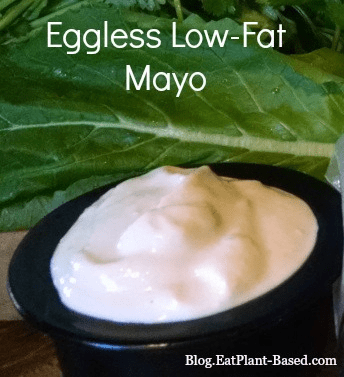 One of the things that makes this recipe possible is the Easy Eggless Low-Fat Mayo. Traditional mayonnaise is full of eggs and oil. 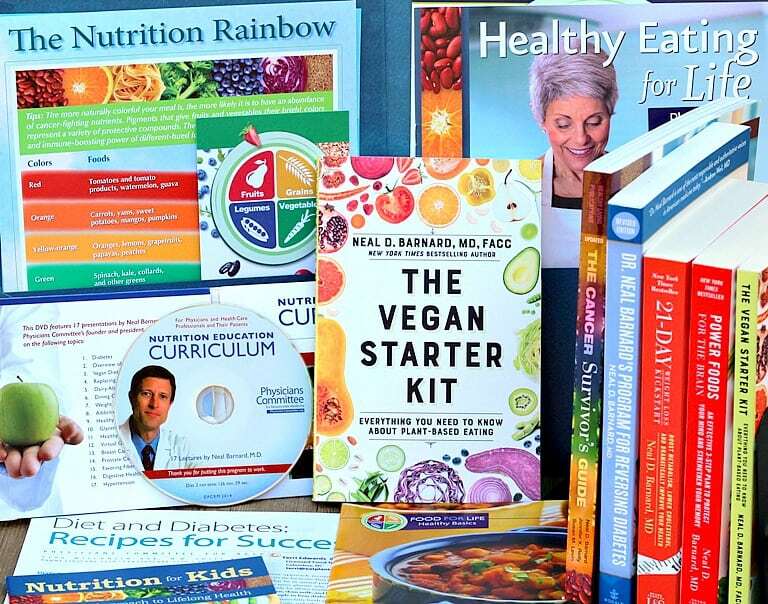 And unfortunately, store-bought mayo options–though they are vegan–are certainly not healthy. They contain lots of artery-clogging oil and loads of fat. Thankfully, there is a better option with my low-fat mayo version, and it’s so easy to make with a handful of ingredients and a blender. 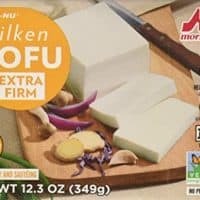 The main ingredient is tofu, but other options are available for those avoiding soy. Links included in the basic mayo recipe. 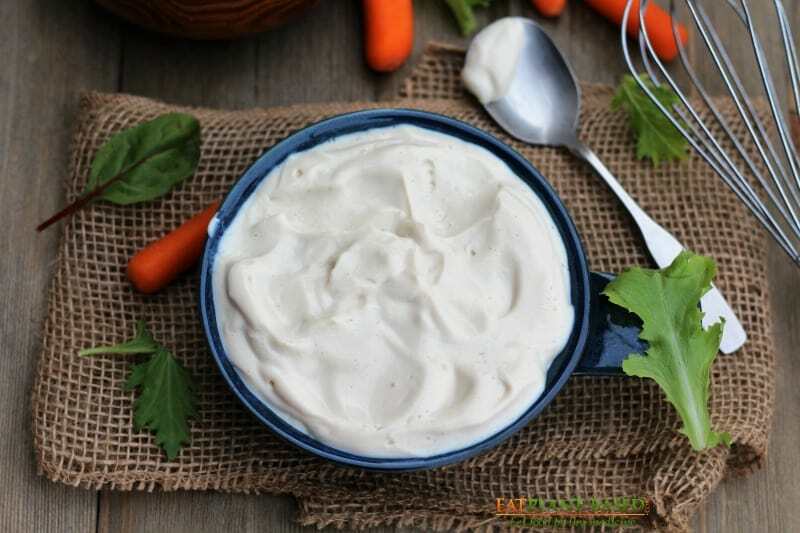 Low-Fat Eggless Vegan Mayo. Click photo to see recipe. 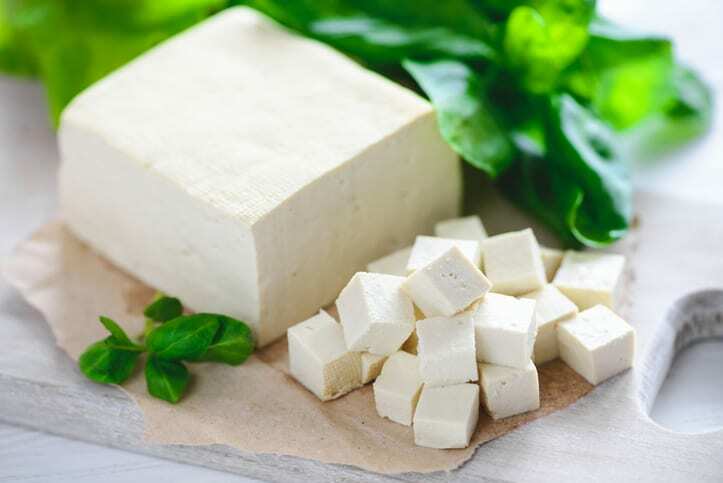 Only 4 oz of tofu has as much calcium as a glass of milk. 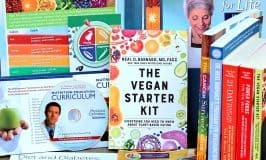 A recipe that I use this Honey Mustard Sauce in regularly is Mary McDougall’s, wife of Dr. John McDougall, Rainbow Salad. 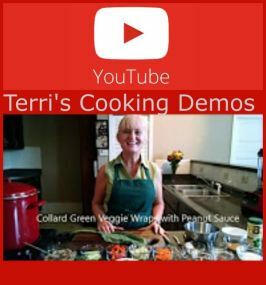 It is an amazing dish and includes an assortment of beans, rice, and veggies. So it’s completely filling, whether eaten as a main dish salad or in a lettuce wrap. 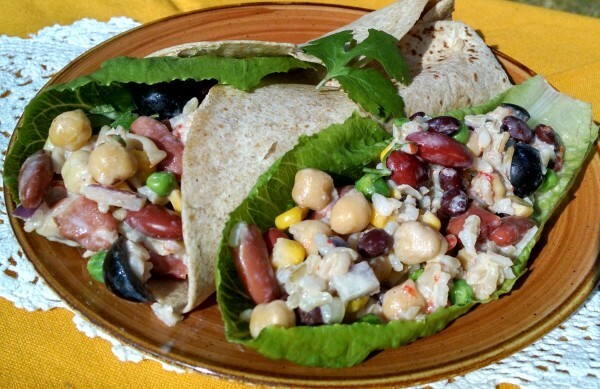 Rainbow Salad with Honey Mustard in a wrap. 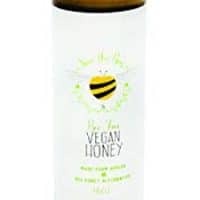 Bee-Free Honee is available on Amazon. 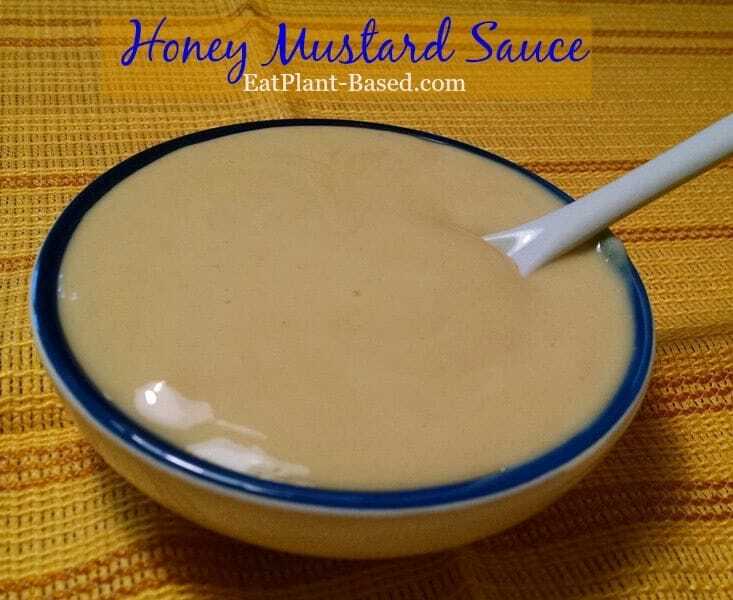 This Honey Mustard Sauce is so easy to make with only 5 ingredients. 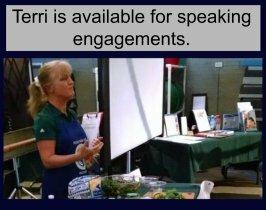 It's great as a salad dressing, sandwich or wrap topping, and even on potatoes. In medium bowl, whisk together all ingredients, including mayo, until smooth. Remove water and drain tofu. Scrape the tofu into a food processor. Add the rest of the ingredients and puree until smooth and creamy. Keeps in the refrigerator for about 10 days. Scrape the tofu into a food processor. Add the rest of the ingredients and puree until smooth and creamy. Keeps in the refrigerator for about 2 weeks. The eggless mayo sounds good but even if I made half the recipe I’d never use it up in 2 weeks. Do you know how it would hold up in the freezer and then defrosted? Would a blender work as well as a food processor? I think a good idea would be to only make half the recipe at a time. The other half-block of the tofu could be used for something else, such as stir fry or breakfast scramble. Could you freeze this sauce in an ice cube tray and then pop out a cube or two to defrost and use as needed? ?